The best thing I've done this year was make the feelings poster. I liked how i could express my emotions all in a poem and then show it by taking a picture and editing it. The skills i learned on photoshop was how to make i look like something is real when its really not, like i can erase the edges of a picture and make it blend in with something else. 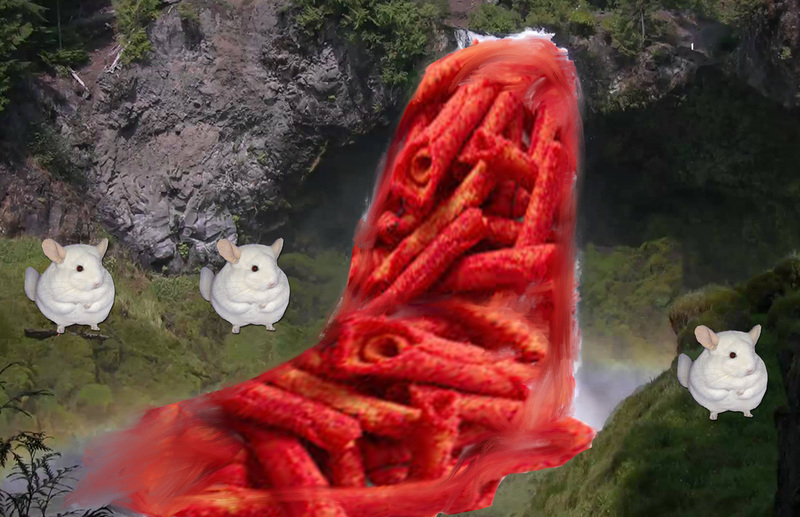 The thing I'm proud of is my surrealism project because i think i make it look realistic by putting things together that didn't fit. Something i would do differently for next year is probably be more creative with my projects, i feel like i could've improved on some things, i would also probably finish my projects faster so i would have more time to edit them if they need it. 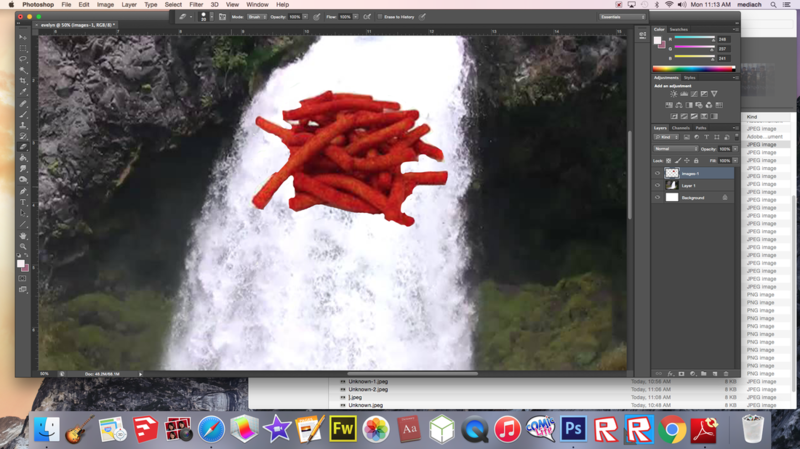 This is the first step to my surrealism, a waterfall made out of takis, and soon other hot chips. 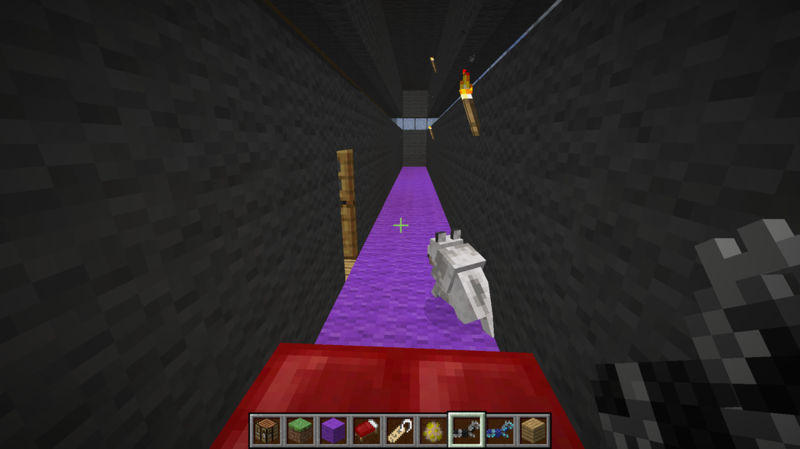 Today i made my room or secret room the floor purple because t needed more color in the room. My wold is protecting mt room so no other creatures come in. Today i made the secret passage that is hidden past some paintings this i think is where ill put my room and other valuable things. 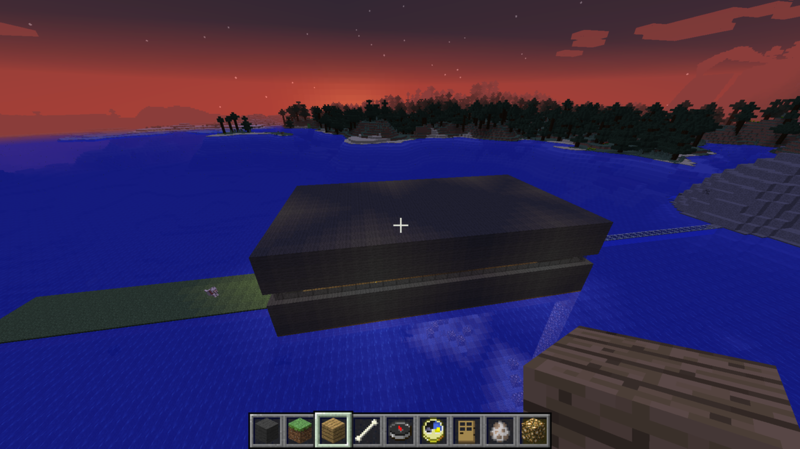 I put torches so i could see at night and a row of stained glass so i could see outside. 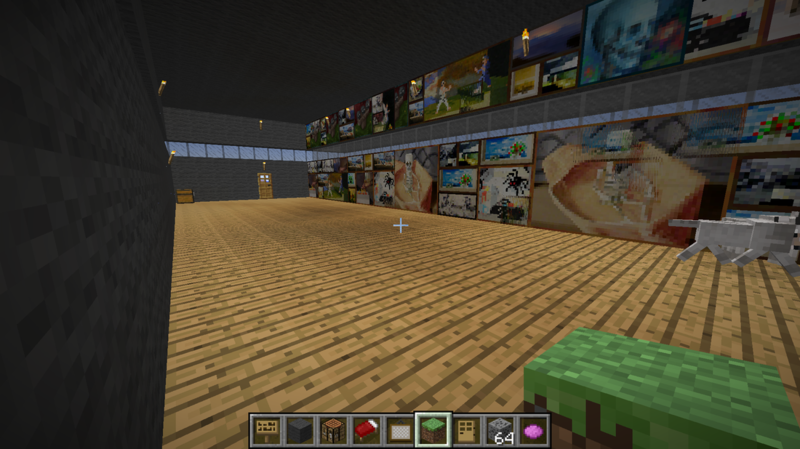 Today i accomplished putting paintings on one wall so i could make a secret passage. A lot off the paintings started glitching which i think made it look more confusing. in the passage i can put all of my important things. 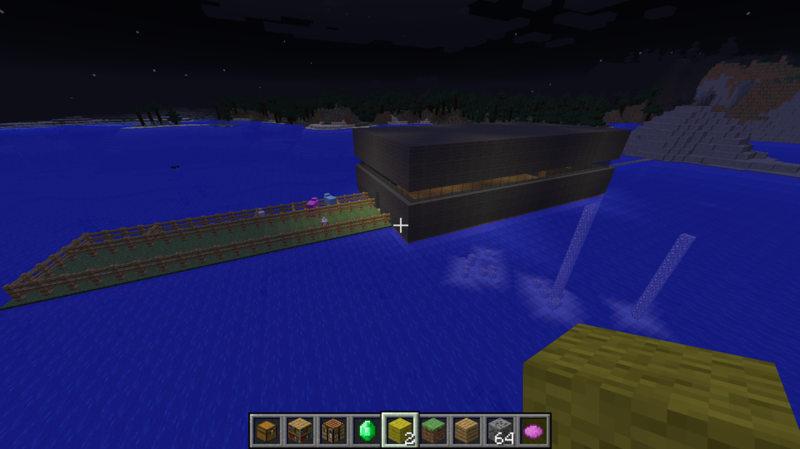 Today I was able to make a farm and color the sheep. 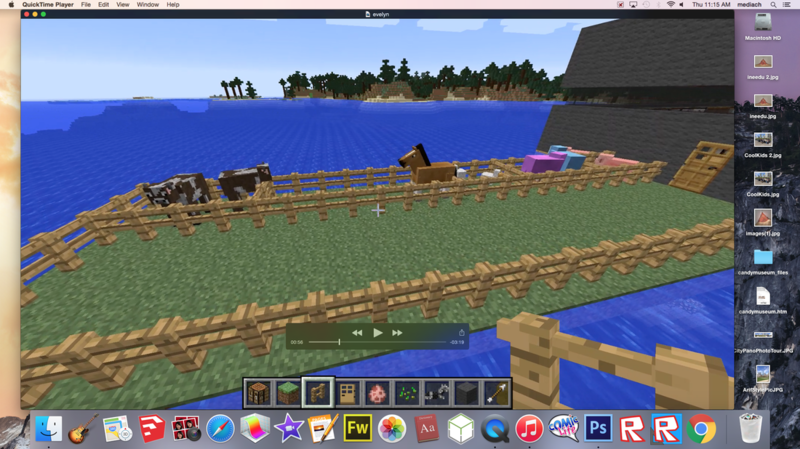 Chickens and cows and wolfs were in my farm. The wolfs were there to kill any animals that there were too much of. 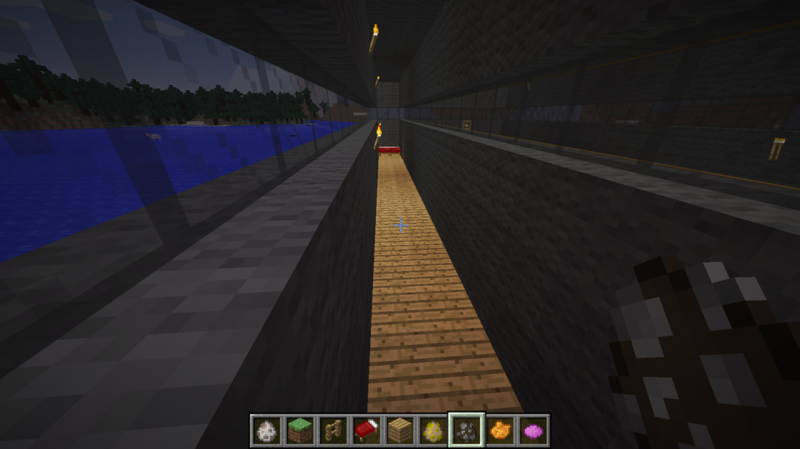 I ended up making a pathway to my house with glass, and i put grass for my back yard. I also got a pet wolf :).